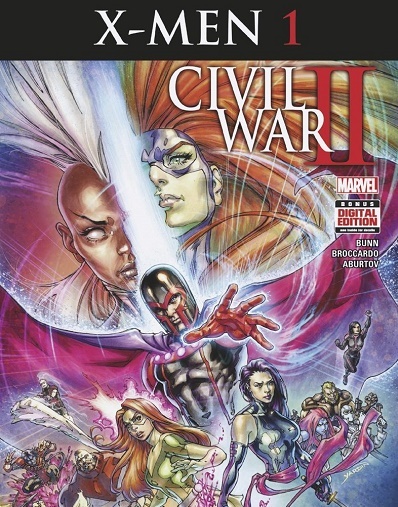 The X-Men enter the fray of Civil War II! As Terrigen Mist circles the globe – igniting the Inhuman race while crippling mutantkind – tensions have been rising between the two races. And when a new Inhuman who can see the future emerges, the X-Men fear he may tip the scales and spell doom for their kind. Now, one mutant is willing to wage war with the Inhumans and his own people to prevent that from coming to pass – and that mutant is Magneto! But as the Master of Magnetism takes fate into his own hands, who will join him in an assault on Attilan? What side will the X-Men take? And could it be that Magneto’s actions only serve to bring about the outcome he fears? Also included with Civil War II X-Men #1-4 is the classic Amazing Adventures (1970) #9. This title is available from November 16th, published by Marvel Comics.